[16:04:29] The items silently disappear from the spirit cottage. You expect them to arrive in less than ten minutes. [16:20:00] The items silently disappear from the spirit cottage. You expect them to arrive in less than ten minutes. 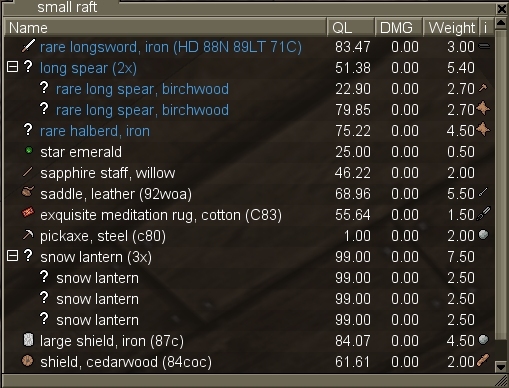 Cod -84ql - large shield, iron (87coc) 1s to Torvalar, please. [17:00:17] The items silently disappear from the spirit cottage. You expect them to arrive in less than ten minutes. [19:11:44] The items silently disappear from the spirit cottage. You expect them to arrive in less than ten minutes. Right, niki as usual swoops up any good rare deals . Treat the rare sword well. I am going to my SE Deliverance deed tomorrow so if you want one of the pick up only items i can bring them along.